? Change the world scale, it scales the tracking so everything else should remain as is. As in positional? Because it won't actually effect "scale", motion controllers are always 1.0f scaled. 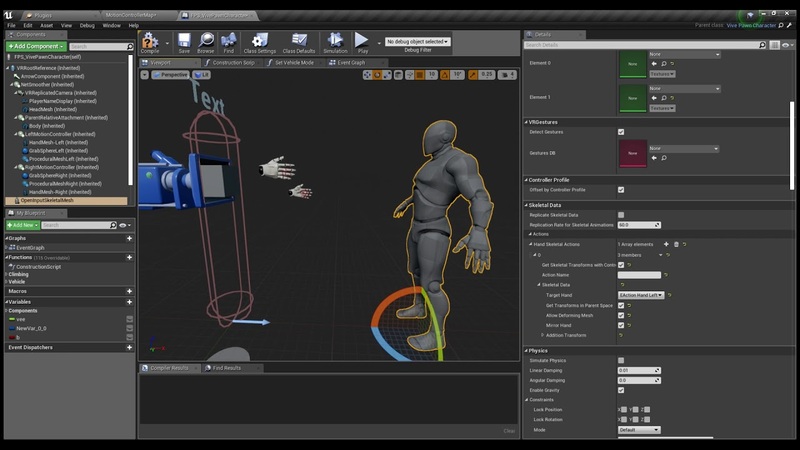 You can set a custom pivot component and attach it to the mesh and move it with it if you need too to "fake" the full scale and just skip the motion controllers actual relative. It kind of sounds like you are looking more for a secondary camera though, like in the template during out of body locomotion. Which has some issues, because just "scaling down" or moving the perspective doesn't actually "scale perspective". Hi, the rendering of BluePrint properties that appears in HUD doing reflect is a feature of your Plugin ??? how could I render the properties of my BluePrint on HUD? Huh? As in a debug list? Trying not to start up anything big right before 4.22 launch so I got around to fixing up the open input module more and finished the parent bone space setup. [QUOTE="mordentral;n1595891"]Trying not to start up anything big right before 4.22 launch so I got around to fixing up the open input module more and finished the parent bone space setup. Last edited by Rareden; 03-19-2019, 09:26 PM. change the target location instead for the IK rather than post offsetting the bone. Video going over setup of the open input module and linking to it. Might as well make the module public since there is a need currently. Last edited by mordentral; 03-20-2019, 08:53 PM. having trouble getting my head around combing those 2 transforms. Do i need to turn the offset into worldspace and compose it to the worldspace of the objects socket? Pretty sure that I saw Yurik reply directly to you about this, even with a specific variable name, I am not entirely familiar with his IK system. It is an older title but recently scrapped its gripping system and merged in the plugins in its place, no idea if other parts are currently in use. Added a website where I will be moving a lot of the stuff from OP and filling out more complete tutorials and documentation. It should be a much more flexible interface for information. I have a weird problem with example project. It works perfectly on VR Preview, but after packaging it works only on left eye. The only way to fix I found so far is to disable stereo rendering via console command (vr.bEnableStereo 0) and then enable it again. It appears only on this project - basic VR project is working. It also doesn't work only on my PC, tried on two others - works like a charm. What headset are you using and what engine version? I saw someone run into that with one of their unrelated projects, I don't remember what they did to fix it but it was a base engine issue. 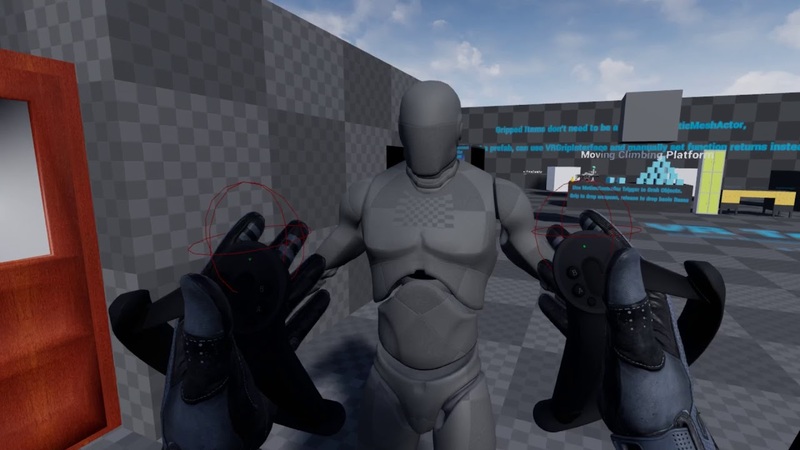 Tried on UE 4.21 and 4.22. Testing on Dell Visor and Samsung Odyssey. It's really weird since packaged project have troubles only on this particular PC so far. It's only minor problem (I don't have to debug on this machine, but it's kinda annoying to work like this).